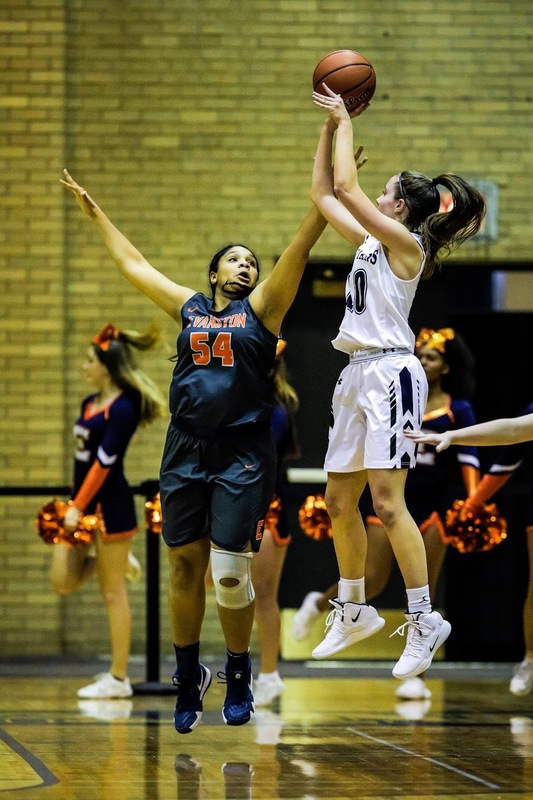 After a blazing start to the season, New Trier girls basketball cooled off with a 54-40 defeat at the hands of the Evanston Wildkits on Nov. 29. The Trevians’ home loss was their third defeat in four games, capping off a rough stretch that followed four straight wins to begin the season. The team shot well from long distance (36.4 percent from three), but they needed to be better on the glass in order to beat a tough Evanston squad (out-rebounded 41-25). 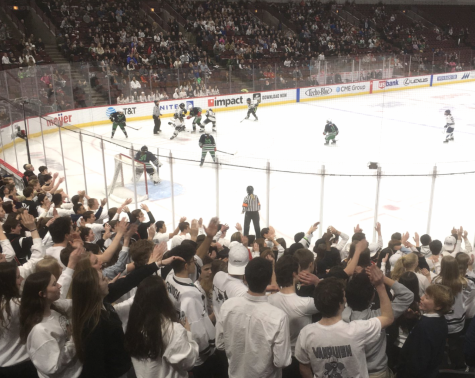 Coach Rodgers thought the Trevians did a good job handling the ball and limiting their own turnovers against Evanston, and that the one issue was their letdown on the boards. “We do a nice job spacing the floor and running in transition. 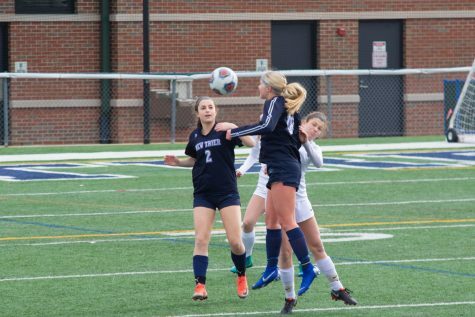 Those both can improve even more, and if we keep practicing, we will get even better,” said senior forward Rebecca Goldman, who was New Trier’s leading scorer against the Wildkits. “We still need to improve on rebounding and boxing out,” she added, again acknowledging what caused their defeat. New Trier likes to play a fast-paced brand of basketball, predicated on creating pressure and forcing turnovers. That did not happen against Evanston, who only gave it away 12 times, but the team has piled up steals at an acceptable rate this year. “We’ve played really well together as a team this year, and we have been doing some really great stuff, but we need to improve on playing that way consistently for a full 32 minutes,” explained senior guard Kate Sawdey. The Trevians bounced back nicely with a win against Lyons two days later, continuing to shoot well and battling harder to get key boards throughout the game, and forcing 25 turnovers. As of Dec. 7, New Trier sits at 6-3 with a couple of important in-conference matchups coming up against Maine South and Niles West. Coach Rodgers was proud of the team for rebounding (both figuratively and literally), against Lyons. New Trier was much closer to Lyons than Evanston in the rebounding total and they were ultra-aggressive on defense. The team picked up 14 steals and five blocks, of which player of the game Taite Ryan had two and three, respectively. Ryan was also named player of the game (per NTGBB twitter) against Evanston, scoring 11 points and stealing the ball three more times against the Trevians’ arch-rivals. With the early four-game win streak, Coach Rodgers picked up her 500th career victory over 21 years of coaching high school basketball. The team was proud of their coach and grateful for her guidance over the years. “She cares for the team as a whole and how we develop and play together, but also for each player individually on and off the court,” said Sawdey.